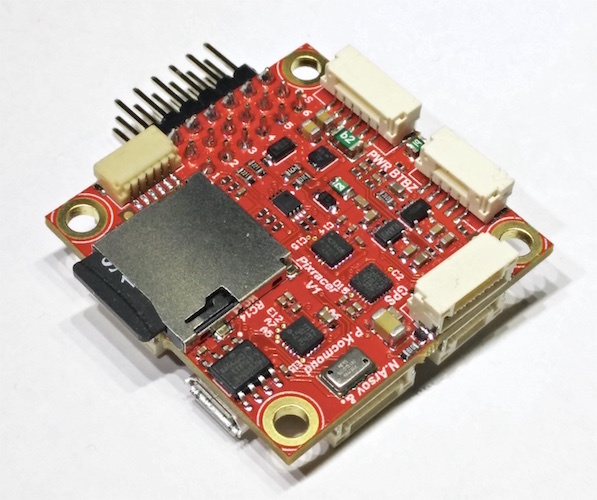 The Pixracer is the first autopilot of the FMUv4 Pixhawk generation. 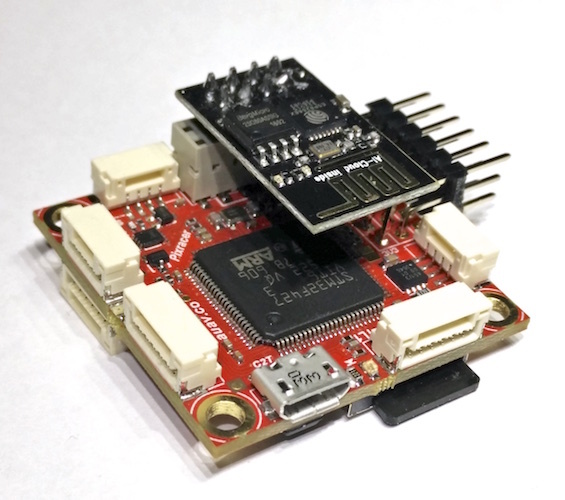 It comes with a small Wifi extension board. At time of writing the autopilot is still being evolved/improved. The final version may very slightly from the information provided here. This video below provides a detailed overview of the board. Additional information can be found on pixhawk.org and the mRobotics. 5-5.5VDC from USB or PowerBrick connector. Optional/recommended ACSP4 +5V/+12V Power Supply. 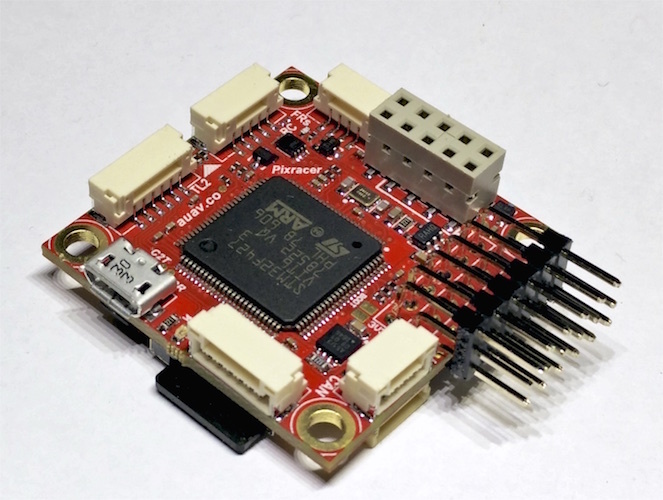 Connectors: GPS+I2C, RC-IN, PPM-IN, RSSI, SBus-IN, Spektrum-IN, USART3 (TxD, RxD, CTS, RTS), USART2 (TxD, RxD, CTS, RTS), FRSky-IN, FRSky-OUT, CAN, USART8 (TxD, RxD), ESP8266 (full set), SERVO1-SERVO6, USART7 (TxD, RxD), JTAG (SWDIO, SWCLK), POWER-BRICK (VDD, Voltage, Current, GND), BUZZER-LED_BUTTON. We suggest buying directly from mRobotics.